The Two Worlds Of Charlie F.
“What do they teach us in training? Adapt and overcome.” Charlie F.
Charlie F. was to tell the audience more than just about life in the sand pit. This emotive production was going to challenge ones values about life itself. 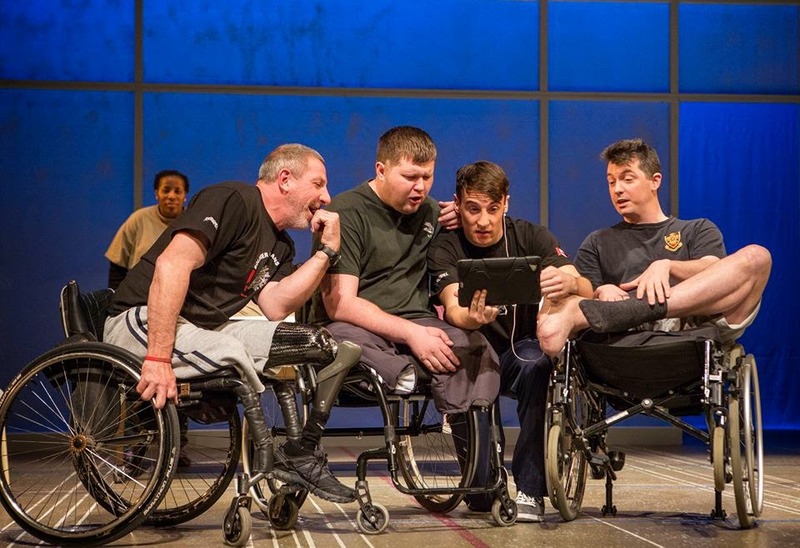 The production began life in 2010 as a theatre project for 30 wounded, injured and sick (WIS) Service personnel. After performances, and rave reviews, at the Theatre Royal Haymarket, it was to go on tour in 2012. This year sees it touring both Canada and the UK again. 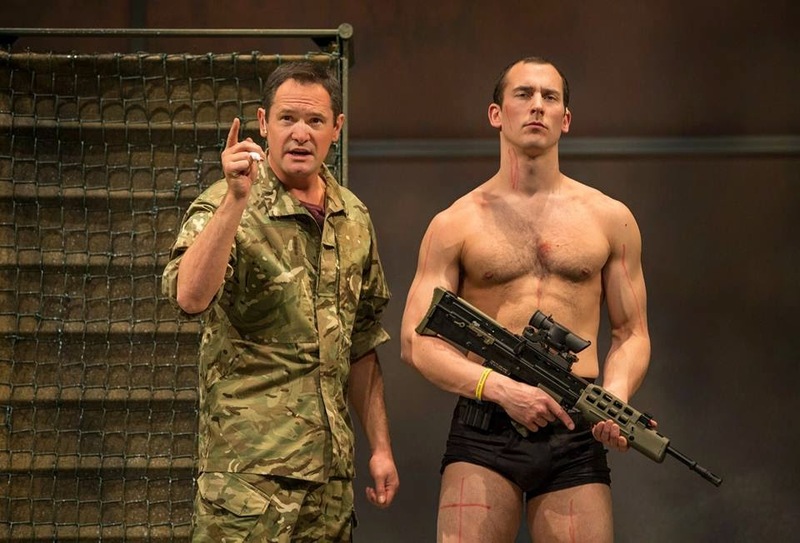 The show is narrated by Charlie Fowler, who is played by Royal Marine Cassidy Little. Cassidy comes across as someone who has spent his life on the stage rather than in the armed forces as he takes command of the theatre. 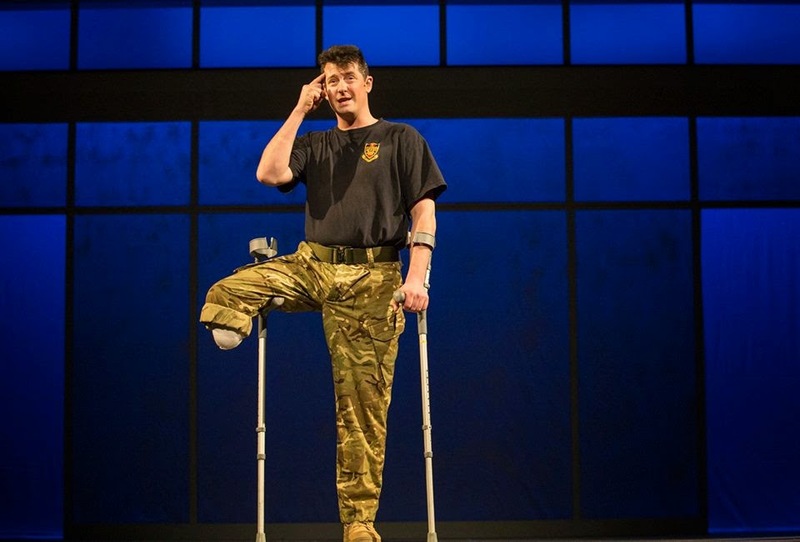 The bulk of the ensemble are injured forces personnel who carry their stories passionately. A collection of stories are presented from their original civilian life through training, active service, injury, rehabilitation and then back to civilian life. This included why Lance Corporal Simi Yates (Lance Corporal Maurillia Simpson) joined the forces in a desire to live at the same place as the Queen. It is difficult not to be moved, such as when they discuss the homesickness experienced when awaiting mail from home or making a 20 minute phone call. Not all injuries are physically obvious and Major Daniel Thomas (Lieutenant Stewart Hill) explained the distress of going from leading a large group into battle to being unable to organise ones own affairs any more. The entire company are to be applauded for the way they obtained the respect of the audience rather than seeking sympathy for their wounds. It is very rare to see the whole audience rise to their feet when applauding a production but this is no ordinary show. The Two Worlds of Charlie F is one of the most powerfully moving and emotive pieces of theatre to grace the stage in a very long time.